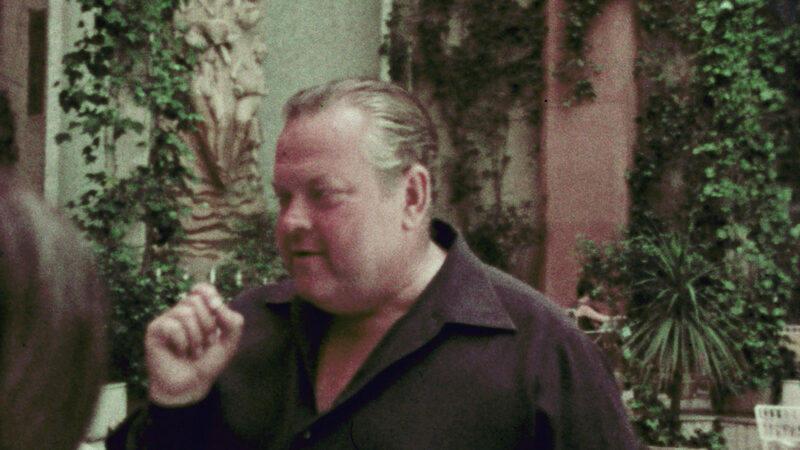 Morgan Neville's THEY'LL LOVE ME WHEN I'M DEAD is a about the making of Orson Welles' long unfinished THE OTHER SIDE OF THE WIND as told by archival material as well as the surviving members of the staff and crew. When I walked out of the New York Film Festival screening of THEY'LL LOVE ME... I was kind of mixed. Here was a film that (kind of) tried to explain where the film came from, how it got mostly made and how it ended up unfinished by cutting together everyone's version with clips of the film to forma film that mirrored the film itself. Frankly I liked parts, disliked parts and was uncertain why Neville really didn't make any sort of effort to make it a clearer tale (the film make reference to the fact that things are confused). 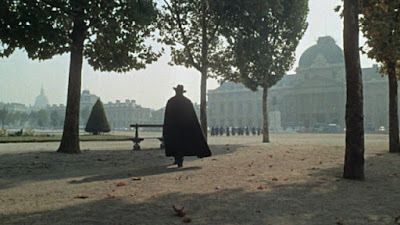 As I walked out I turned to Nate Hood and said the best part of the whole film was Henry Jaglom's story about John Huston wanting to see the footage he shot of Welles for SOMEONE TO LOVE. It was near the very end of the THEY 'LL LOVE ME..and it was a moment that brought me to tears. Nate said that he too had been moved. The exchange hung over me as I ran to my next movie and then through the rest of the day and evening. It was, as I was walking my dog that I realized that, ultimately, that as much as I think THE OTHER SIDE OF THE WIND is a mess, I liked it better than this making of. Sure the OTHER SIDE is all over the place, but there kind of is a through line. You can tell that Welles was going for. On the other hand Neville is equally all over the place, but in the end you don't know what he is trying to say. Yes, he is telling the story of the film, but at the same time he throws in all sorts of other things that kind of come to the fore before being cast aside- notions like did Welles not want to finish some projects, his inability not to sabotage himself, why Welles hate the Euro-cinema he was sending up, his relationship with Peter Bogdanovich and others are brought up and abandoned. Frankly I came out of the film feeling like I knew less about the film and Welles than I did before. Is it a bad film, not really, but at the same time its not as informative as one would have hoped. To be certain it will be worth a look on Netflix in connection with release of OTHER SIDE, but I doubt you'll ever look at it a second time. I won't.